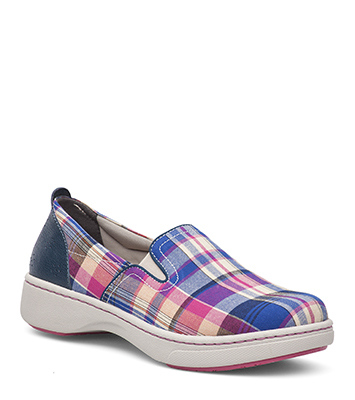 The Dansko Blue Madras from the Belle collection. A comfortable slip-on sneaker, Belle brings a fresh look to your day along with the benefits of a removable footbed with cushiony memory foam and optimal arch support. Double goring allows for easy on/off.